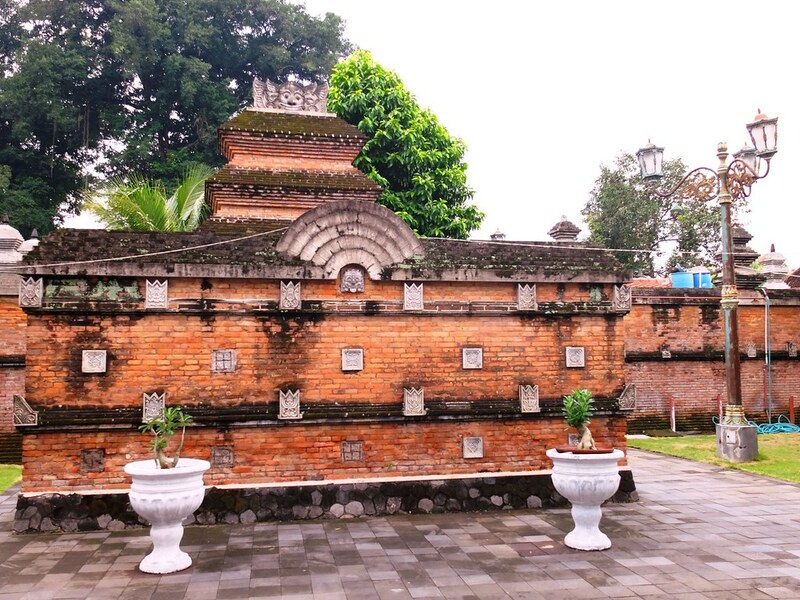 The area of Mataram or now known as Yogjakarta was the center of the old Mataram Kingdom that ruled the entire island of Java on the 8th Century . 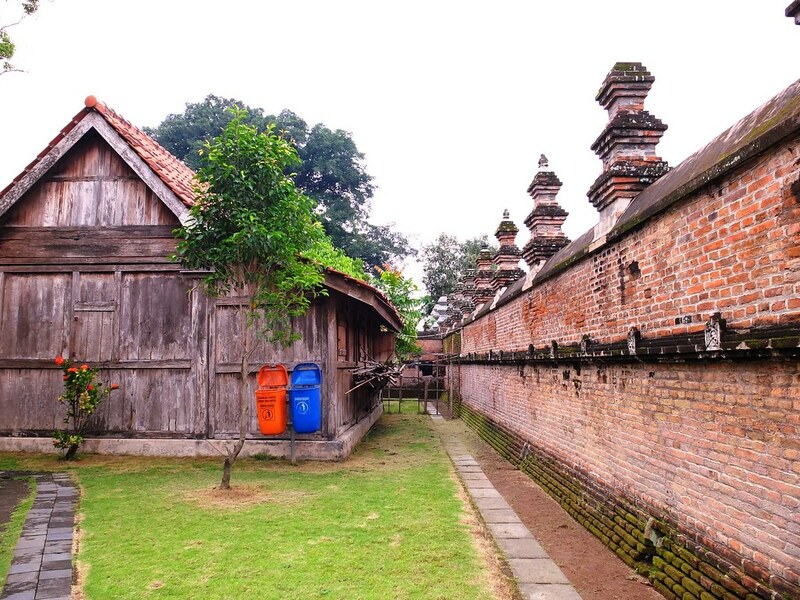 It was a civilization of prosperity and ingenuity, building the great ancient temples of Borobudur and Prambanan. 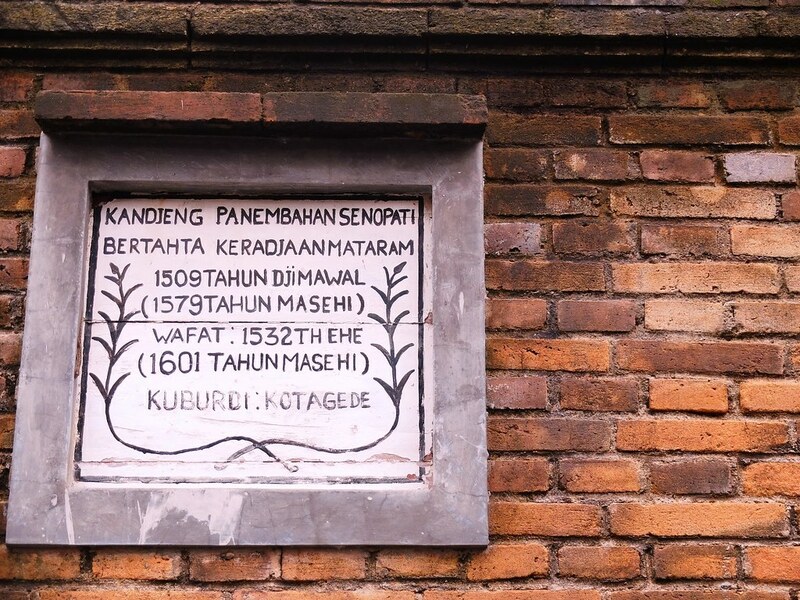 However, with unknown reason after the 10th century the entire kingdom moved from Central Java to East Java and the kingdom they left behind became nothing but woodlands. 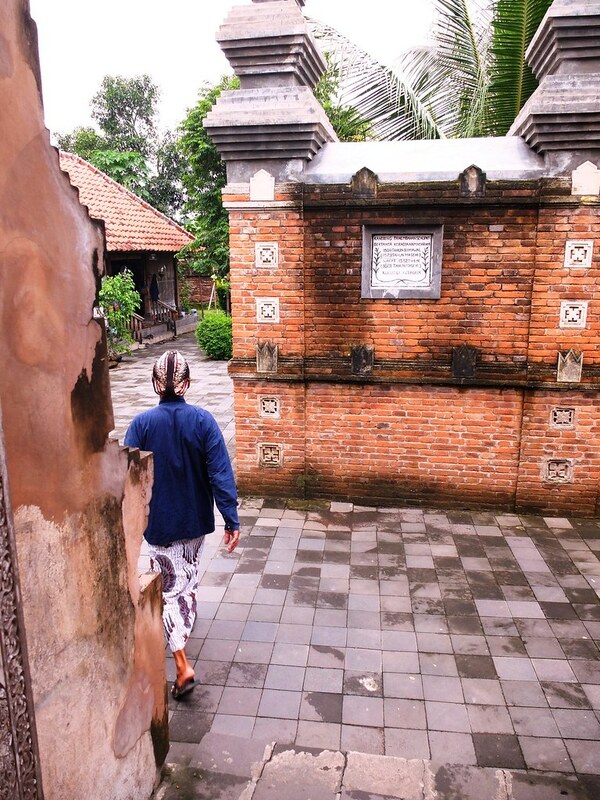 Kotagede is the remainder of the once mighty Mataram Kingdom and now considered as an important historic neighborhood of Yogjakarta. 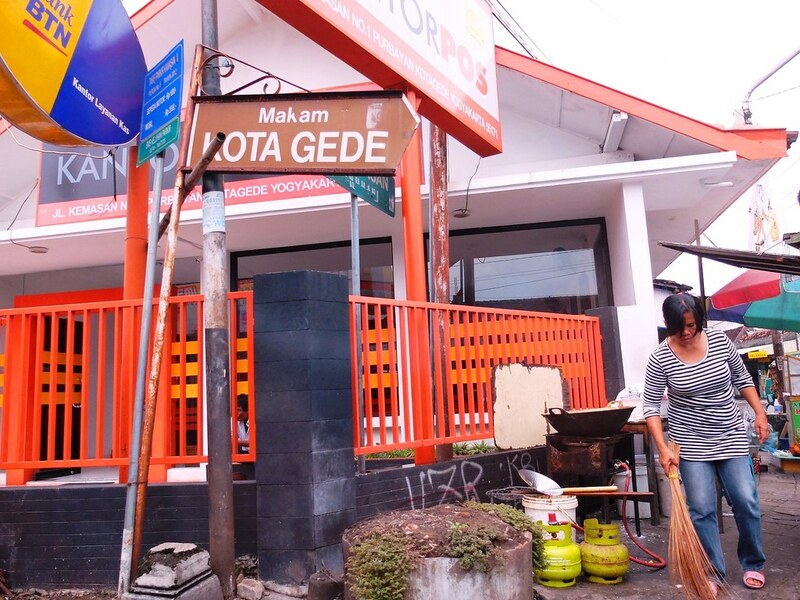 There are two ways to reach Kotagede from Malioboro Street where most hostels are located, either you join a tour or do the independent way of back riding an “ojek” (motorcycle)or renting the motorcycle and drive by yourself or negotiate with a taxi driver for a fixed price that will allow you at least an hour or two to visit the neighborhood. 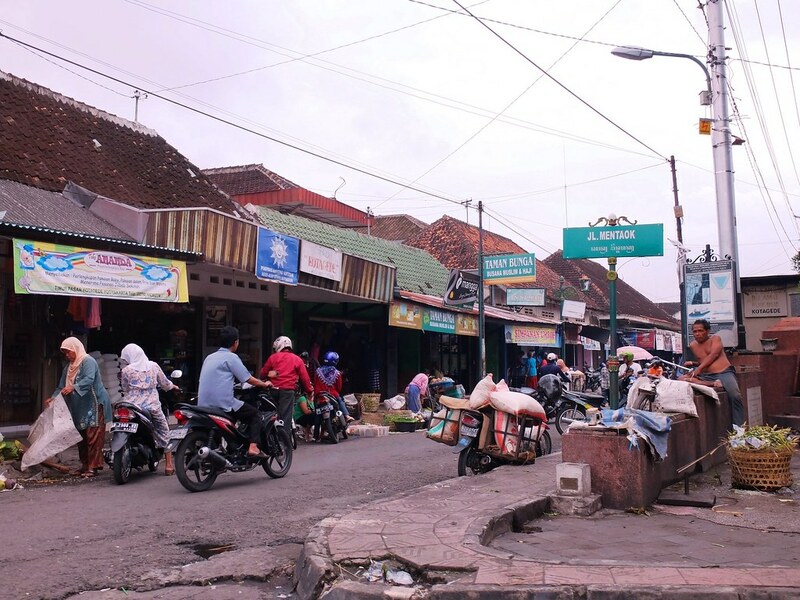 I opted for the taxi option of 50,000 Rupiah for an hour since I need to head to the airport for my departure flight afterwards. 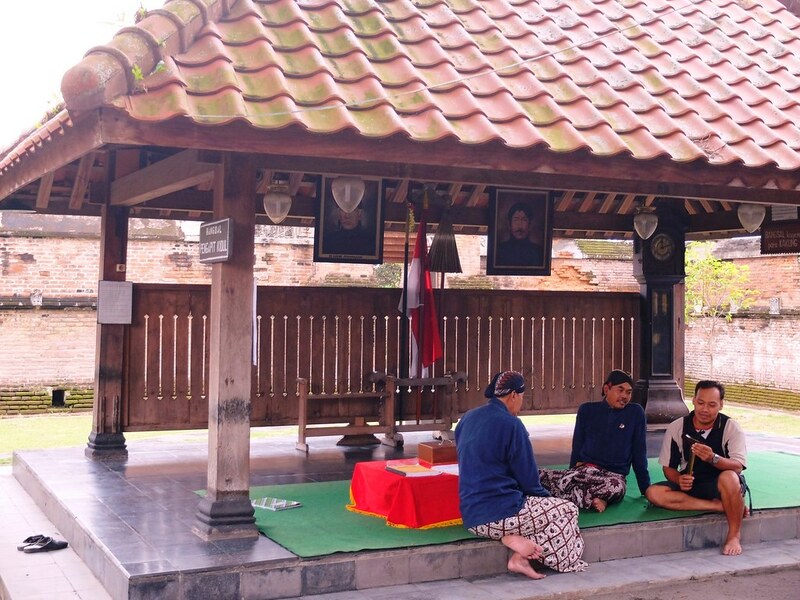 I invited one the hostel guest whom I went to Borobudur Temple on a package tour with, I noticed that he was just sitting at the lobby wasting time and with nowhere to go, I think he overplanned his stay at Yogjakarta. 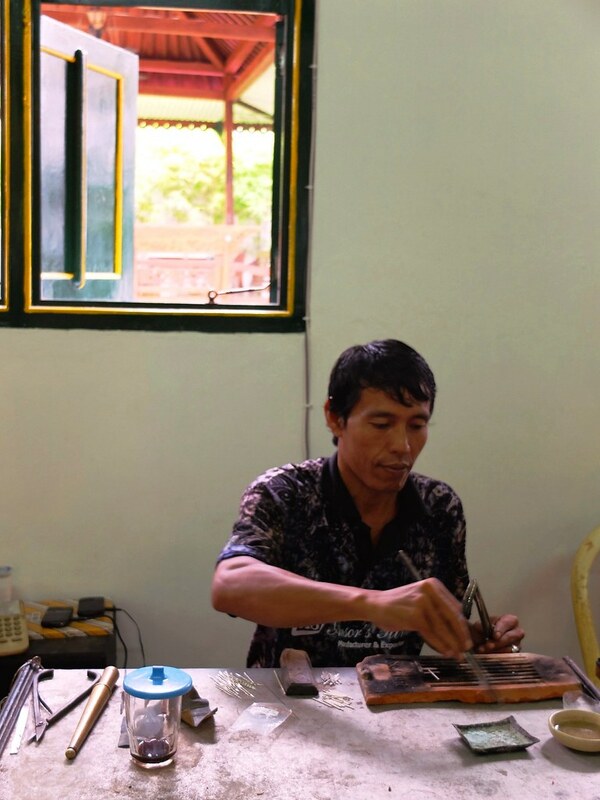 There is a misconception about Kotagede, how there is nothing to see or experience but only visiting local silver workshops. 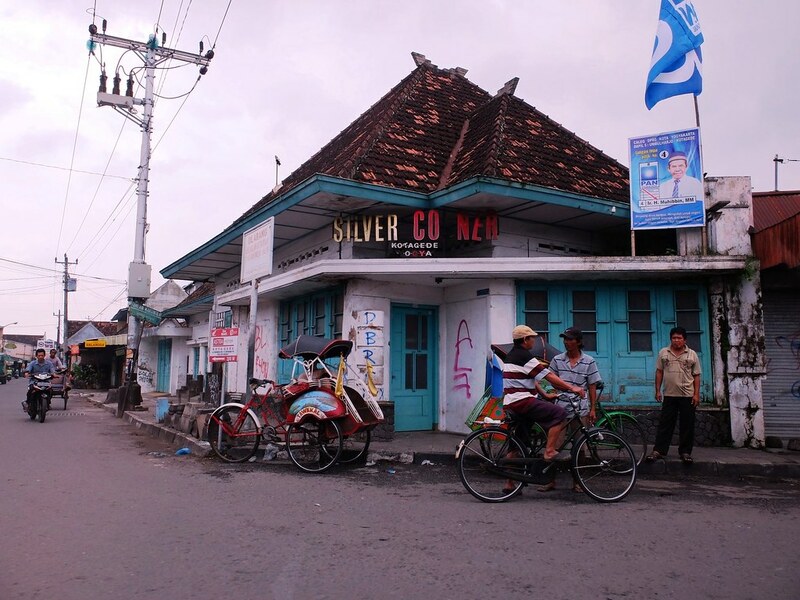 In a way this is true, with the promotion of Kotagede as the “silver village” however there is more to discover at this historic neighborhood than purchasing silver necklace. 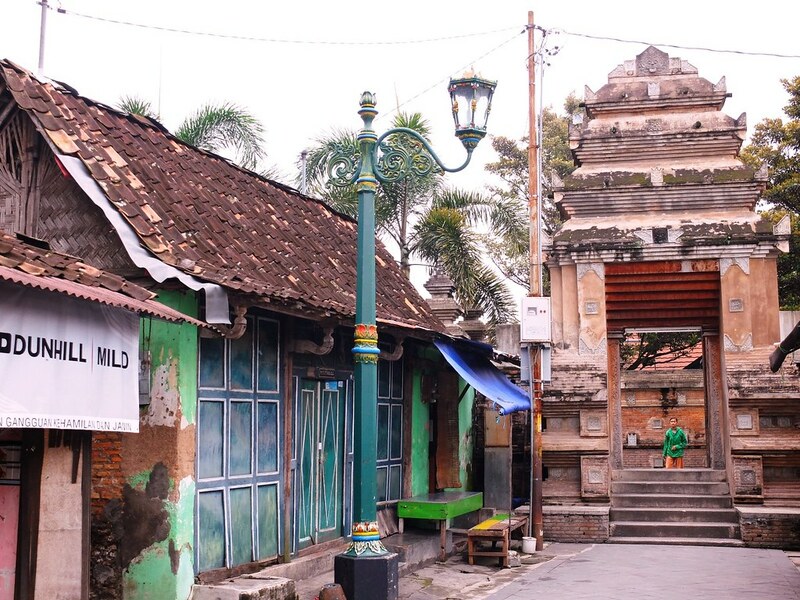 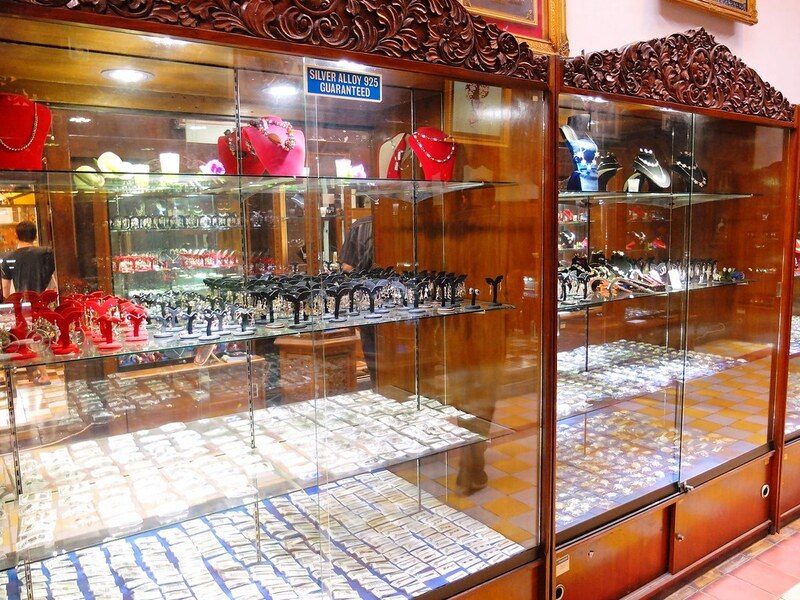 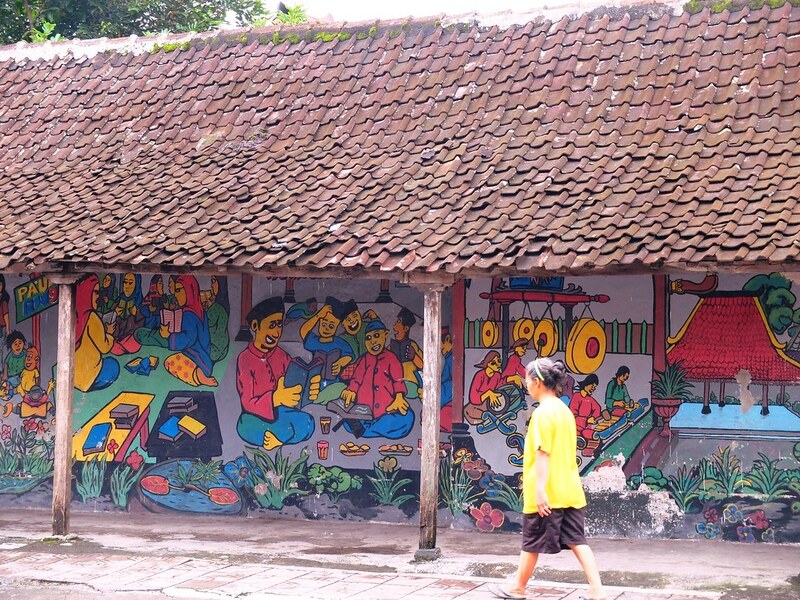 To begin with, Kotagede is an escape to all the buzz around Malioboro, it is laid back and has a more authentic feel of a traditional Javanese neighborhood. 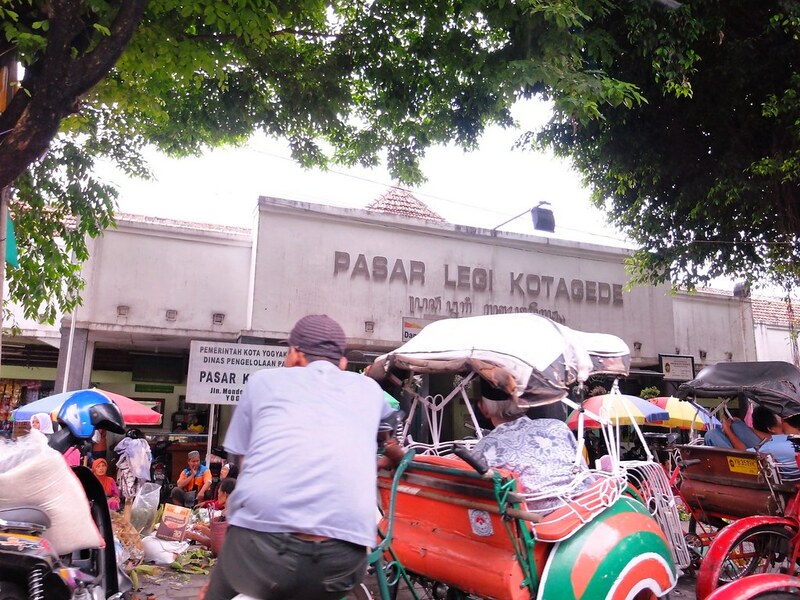 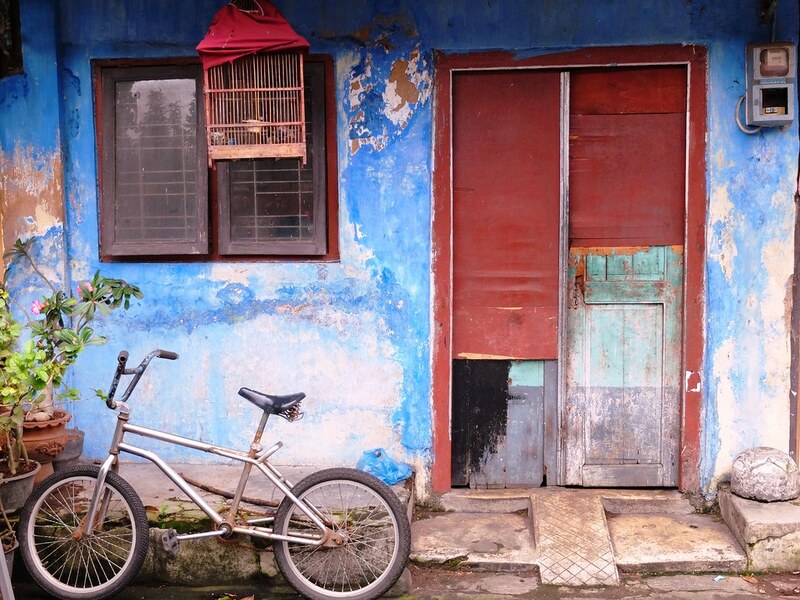 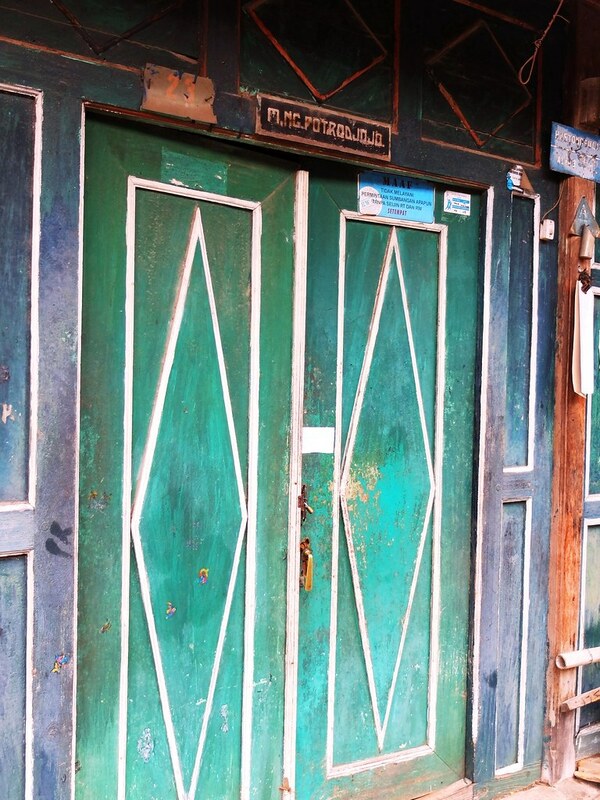 The old buildings painted with faded blue or green, the busy market place around Pasar Legi Kotagede and the old lady peacefully resting in front of her home are just some of examples on what makes Kotagede a great place to explore. 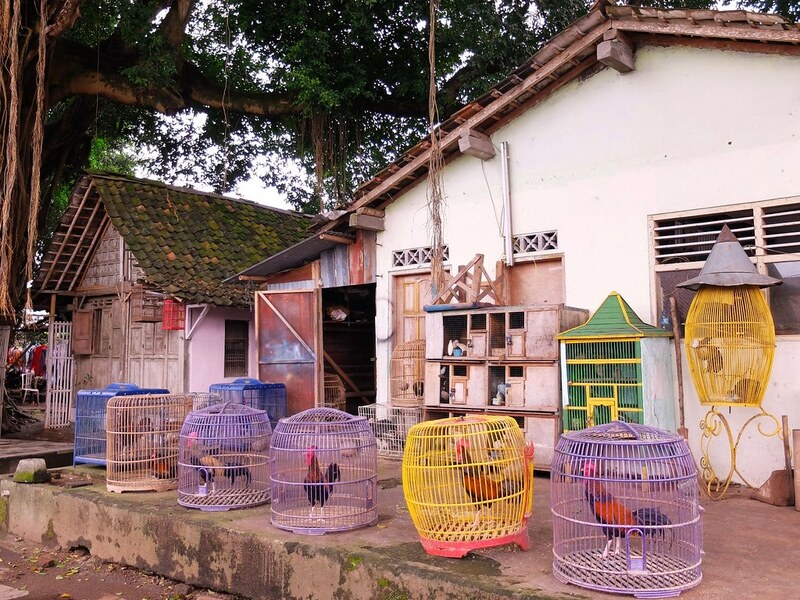 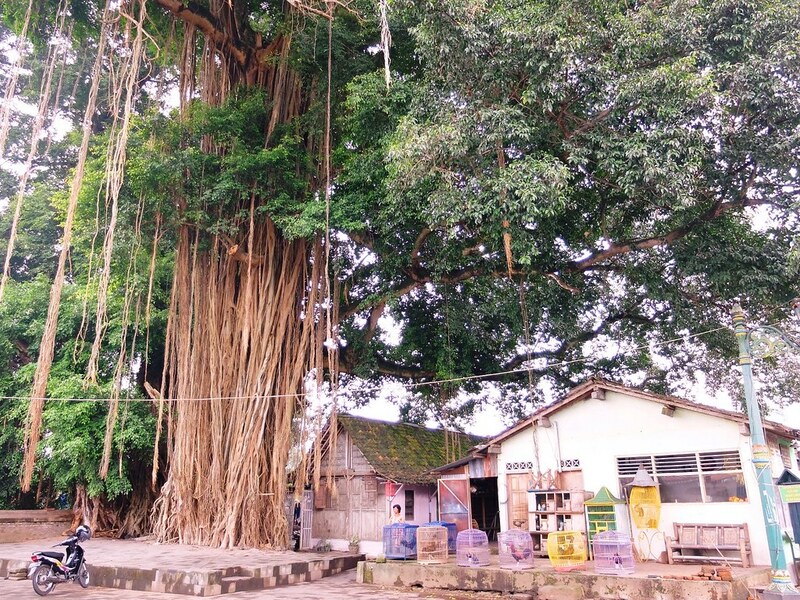 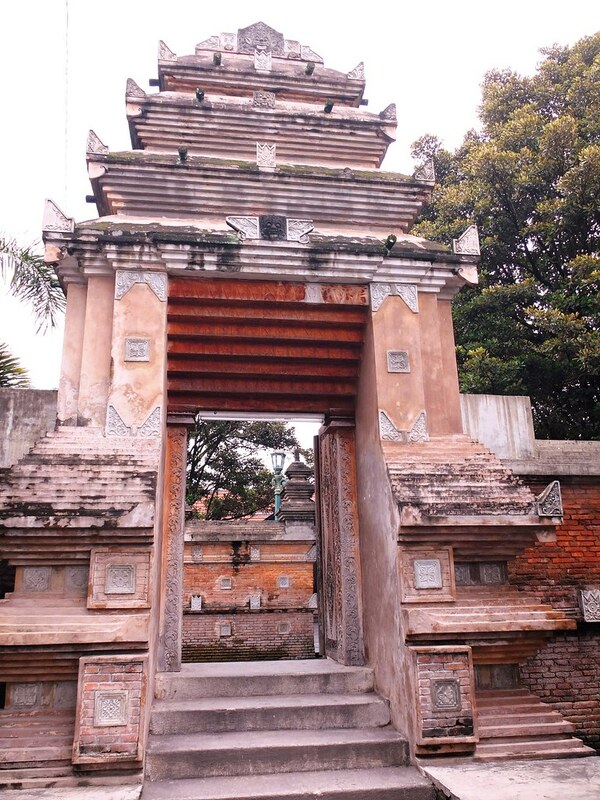 Not to far from Pasar is the Mataram kingdom’s forefathers graveyard. 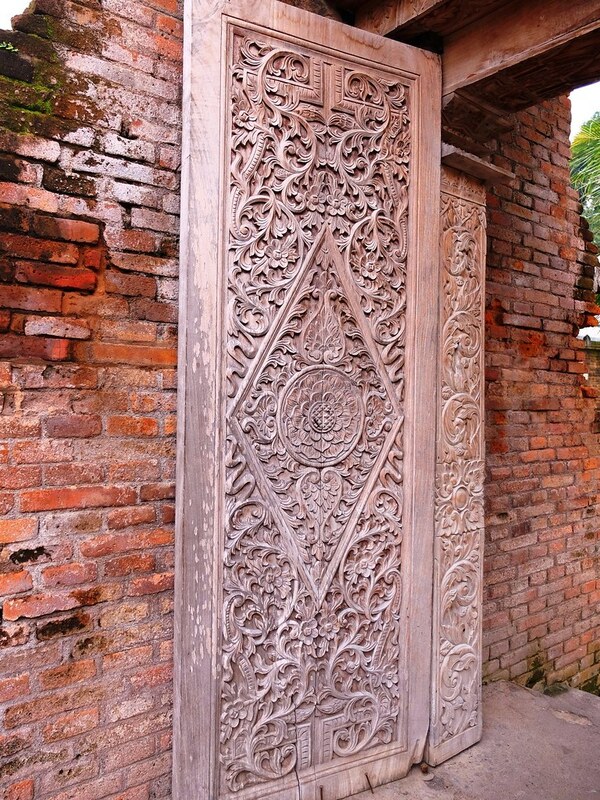 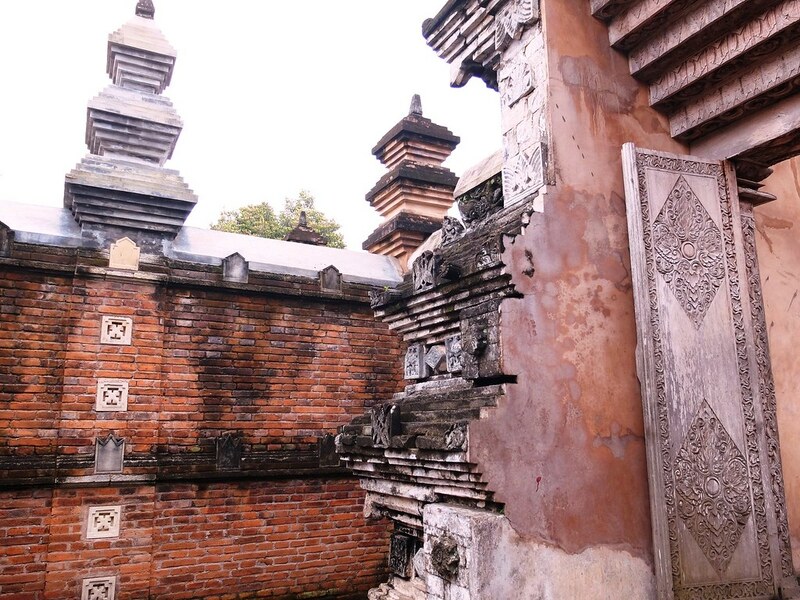 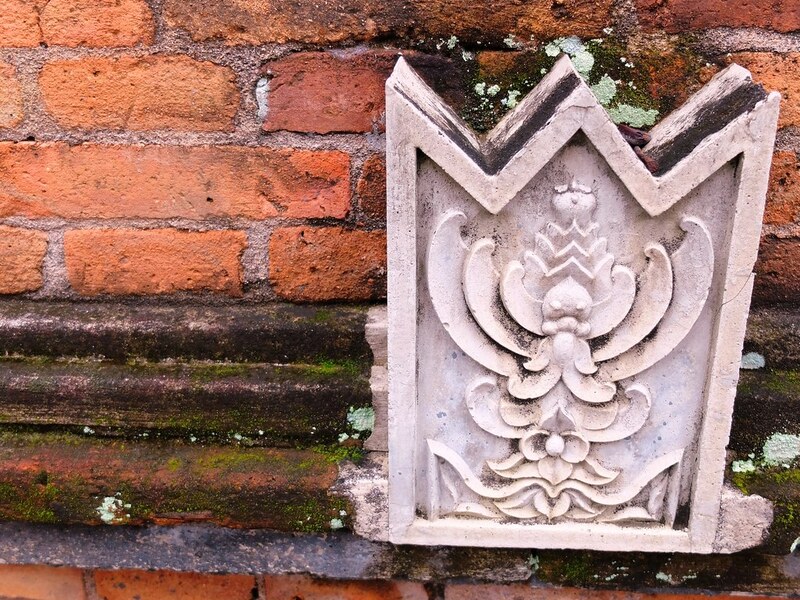 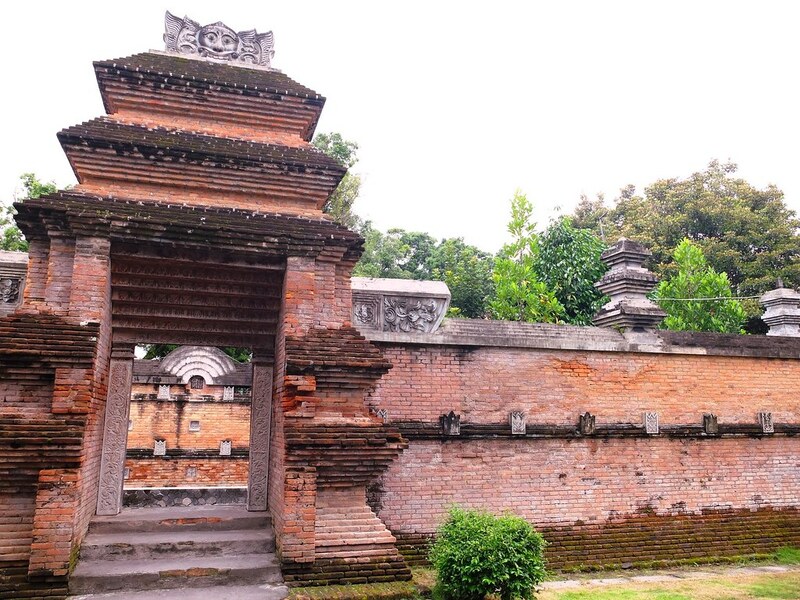 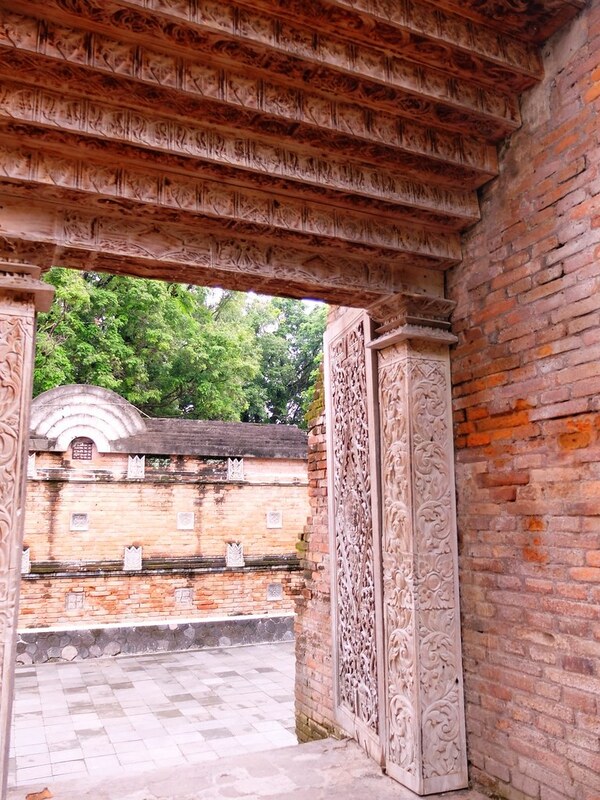 The graveyard complex are surrounded by layers of walls and gates with a mixed of Hindu-Buddhist design that the Javanese retain alongside their practice of Islam. 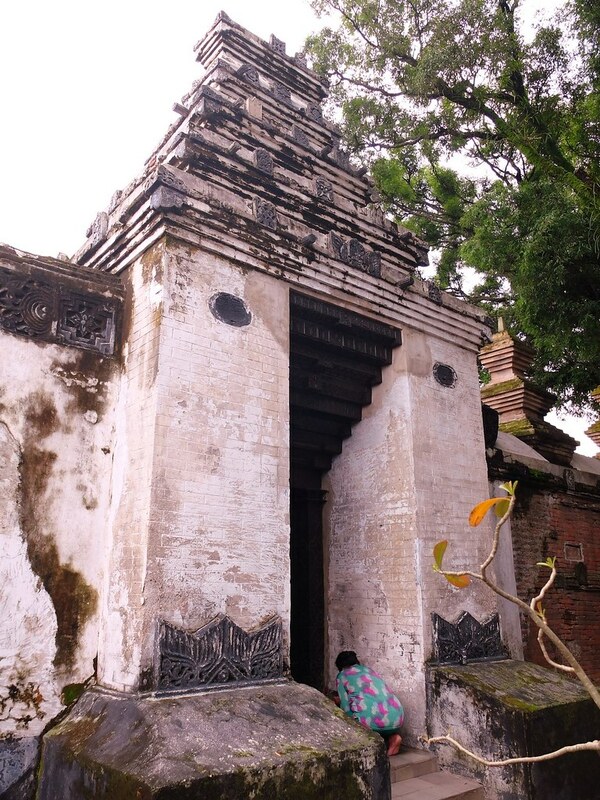 Each walls and doors are decorated with beautiful carvings and there servant wearing traditional clothes guarding the complex the whole day. 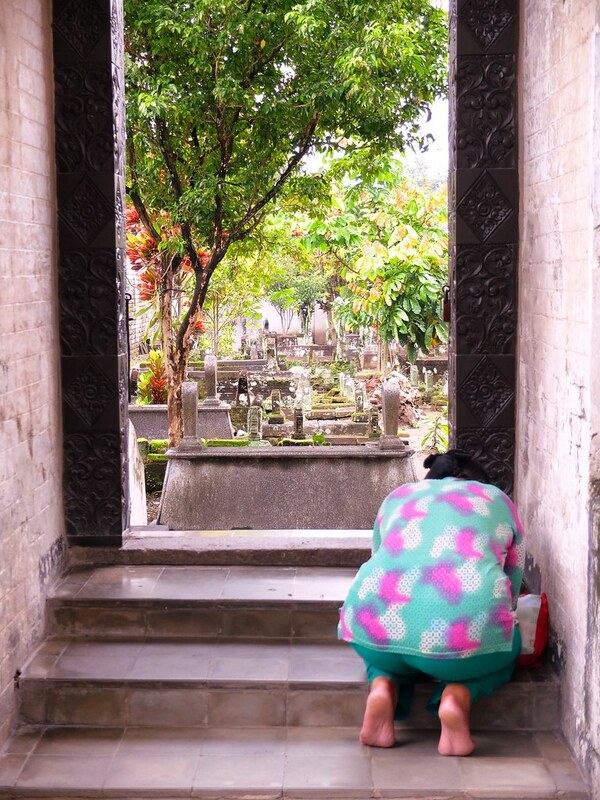 The main graveyard was closed during my visit and there was a local lady praying in front of the gate. 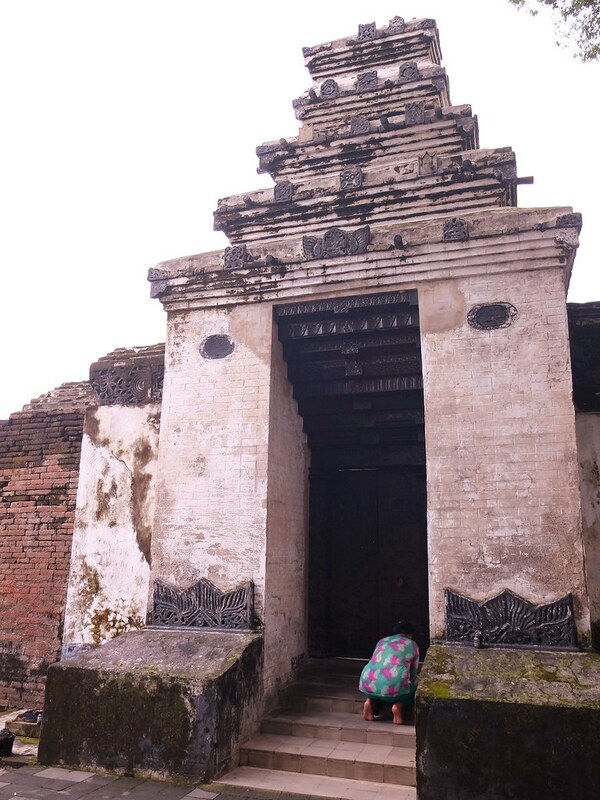 It was open by one of the servants for a brief period then closed afterwards, however visitors are not allowed to step inside. 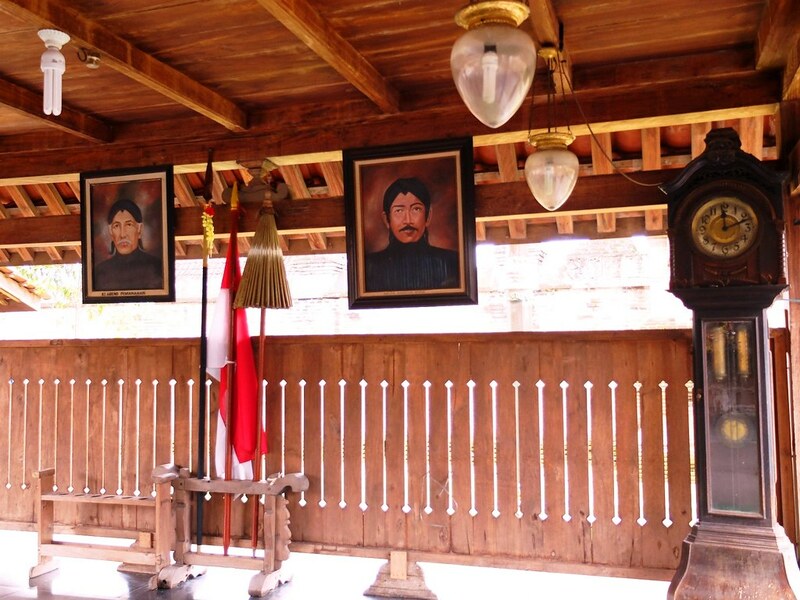 Kotagede is a discovery for me. 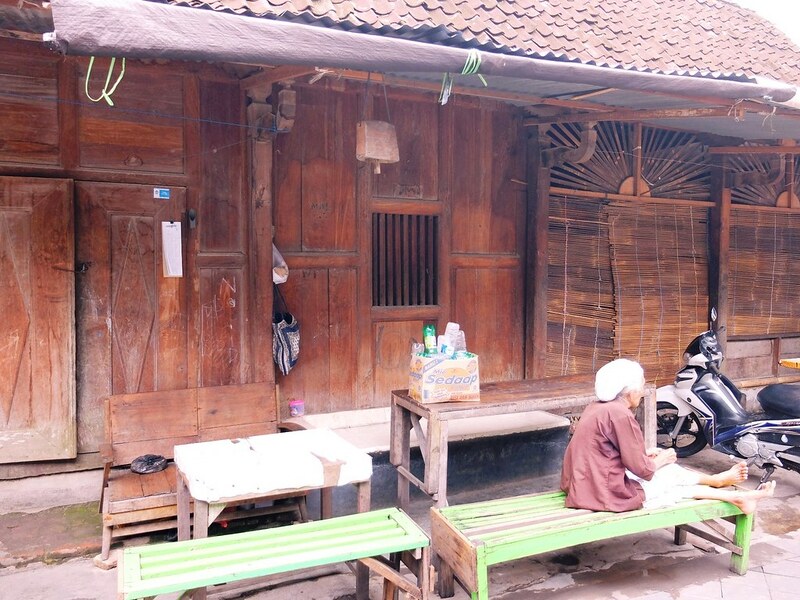 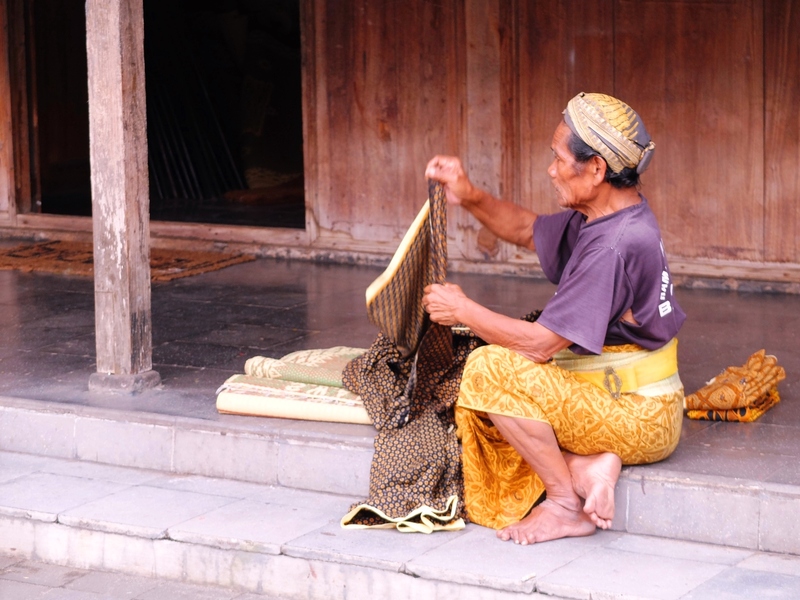 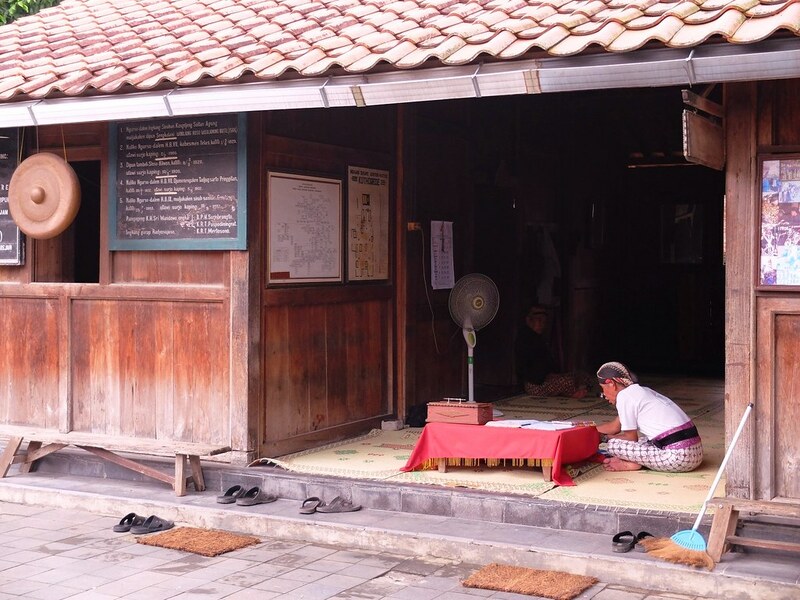 It has everything I was hoping to experience in Yogjakarta, the peacefulness of the surrounding, just allowing oneself to savor this rich Javanese culture.